Find Your State—What Does Your State Offer? Are you looking for information about your state? 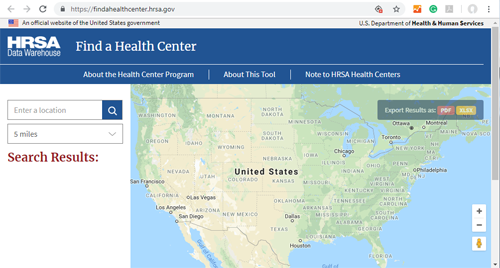 This map links to information about each state including eligibility, expansion, CHIP (Children’s Health Insurance Program) and enrollment. The map does not include links to enrollment sites. The Affordable Care Act offered states the option to expand Medicaid to cover adults between the ages of 19 and 64 who are making up to 138% (133% + 5% disregard) of the Federal Poverty Levels. States voted to expand Medicaid and the federal government agreed to pay for 100% of the program from 2014 to 2016, dropping to 90% of the program after 2020. Currently 34 states including DC have expanded Medicaid, 3 states are considering expansion and 14 are not expanding. Low-income adults who previously had no healthcare could now be covered by Medicaid. 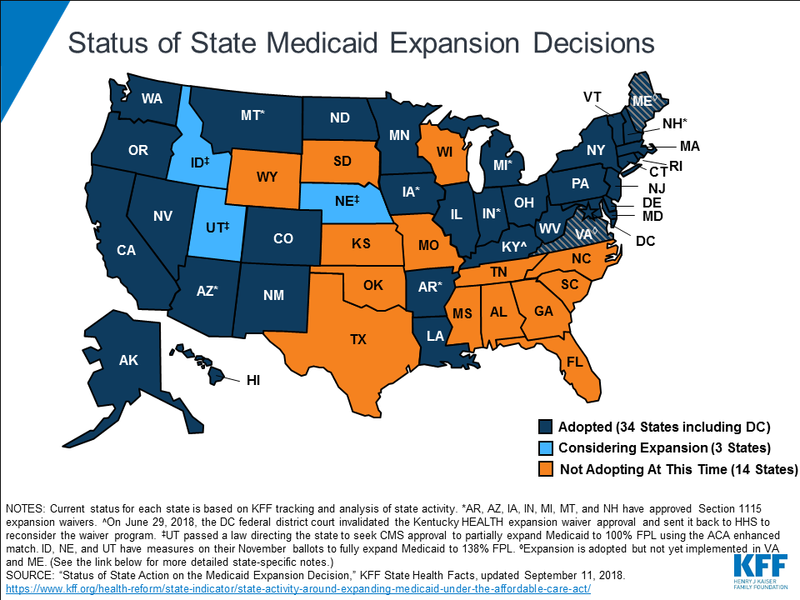 If you are from another state, find out the status of the Medicaid expansion in your state below. Different states have given their Medicaid expansion different names. In Michigan, expanded Medicaid is called Healthy Michigan Plan. In Illinois, the program is called HealthChoice Illinois, and it is Medi-Cal in California. These plans do differ from state to state but must cover the essential health benefits set in the Affordable Care Act of 2010. Under the current administration, some states are requesting and being approved for waivers that include work requirements and other restrictions. Read more about current and pending waivers here. If you are really interested in waivers, check out the Kaiser Family Foundation’s (KFF) Waiver Tracker. Need Help With Figuring Out Eligibility? If you have questions about your eligibility, your child, your parent or someone else’s eligibility, call us at 734-544-3030 if you are in Michigan. If you are not in Michigan and need information about eligibility or enrolling, there are two resources. The first is Federally Qualified Health Centers (FQHC). FQHCs are federally funded health centers that provide medical (and sometimes other) services. If you are looking for information about healthcare, an FQHC is a good place to start. Because they provide sliding fee scale services, they usually have information about Medicaid for adults, families and children, as well as patient advocates who can help you navigate the system. The second resource for finding out about healthcare is the Marketplace’s Find Local Help (https://localhelp.healthcare.gov). This lists organizations and individuals who can help with the Marketplace and sometimes Medicaid. Choose your contacts wisely, brokers and agents are paid to sell insurance and may or may not be familiar with Medicaid programs and eligibility. Assisters are certified to enroll you on the Marketplace and should be familiar with Medicaid/CHIP eligibility in your area. The Washtenaw Health Plan (left) is listed as an Assister; on the right, you find an Agent or Broker. What If You Are Traveling and Need Emergency Care? If you have Medicaid but need to go to an Emergency Room in another state, show them your Medicaid card and make sure to talk with the billing department before you leave. Most states have reciprocal agreements for emergencies for Medicaid clients—you cover mine and I’ll cover yours. Medicaid does not cover routine care in other states. Planning A Move? Figure Out Your Health Care Options First! If you are moving, make sure to cancel your Medicaid and apply in your new state. If you are wondering what your healthcare options are in your new state, use one of the tools above or go to this directory to find Medicaid contact information for any state. Because different states have different rules, you may or may not be eligible for Medicaid in your new state. For instance, currently Texas has not expanded Medicaid. If your income is $1100/month (single person) in Michigan you could get Medicaid, but in Texas, you could not. Move from Texas to Michigan, and you’d be in luck. For people who are in a state that did not expand Medicaid, if your income is below 100% of the poverty level, and especially if you are not a parent of minor children, you may need to rely on charity care programs. If you are above 100% of the poverty level, you may be able to go on the Marketplace. So when you are moving, don’t forget about the special enrollment period—it’s time-limited!